Rogers' long running relationship with Sony Ericsson continues as they have nabbed yet another exclusive. This time it's the Xperia Ion, Sony's first LTE capable smartphone, equipped with a 4.55-inch 720p display, Dual Core Snapdragon S3 Processor, LTE connectivity, 12MP 1080p Camera and 16GB of internal storage. 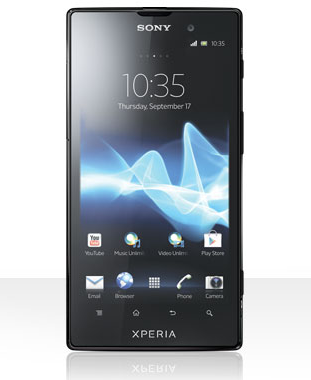 Unfortunately, like other Xperia line phones launched recently, the Ion will ship with Gingerbread but will be upgraded to Ice Cream Sandwich. It's available today for $49.99 on 3 year contract. Check it out at Rogers' Website.